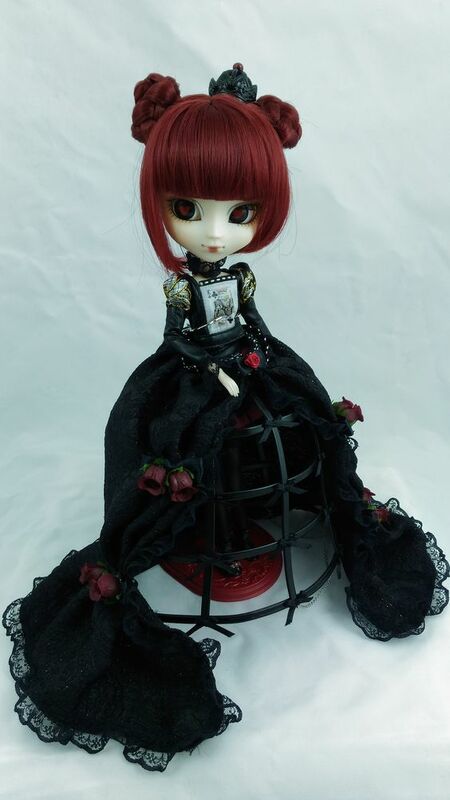 Pullip Lunatic Queen, I call her Her Insane Majesty The Lunatic Queen Isadora Malvolia The Very First. 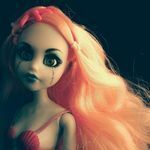 She insisted on the 'Very First', although Alura was my first Pullip (but I'd get Her Insane Majesty as first, were she in stock back then). Fun! I was hoping there would be a 2018 challenge! Let’s see if I can stick it out this year, lol. 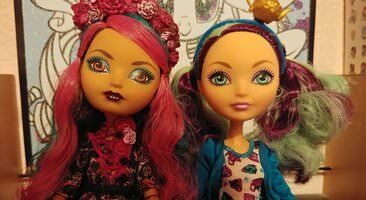 Since I don't have many dolls yet, you'll be seeing the same bunch a lot. Nemesis - that's a beaauuutifuuul dress! I love it! 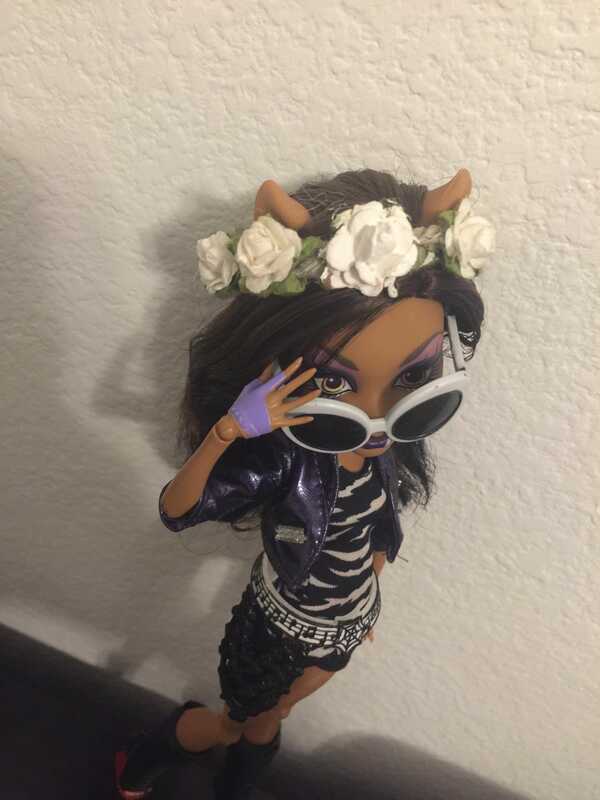 modernmonsterhigh - I like what you did with Clawdia! 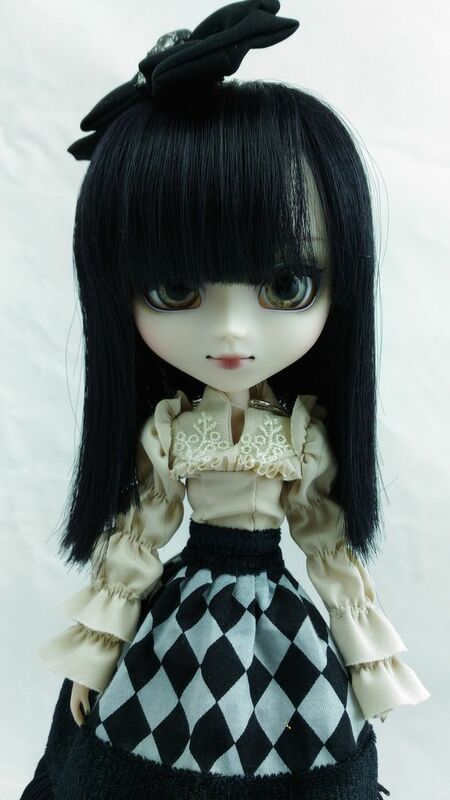 Pullip Alura, I call mine Griselda Butterworth. Well, I may be a day behind but I full intend to participate this year. One of my goals is to get back into photography and enjoy my current collection with doing so. Pictures begin tonight! OH and great work everyone! Aww, thank you! 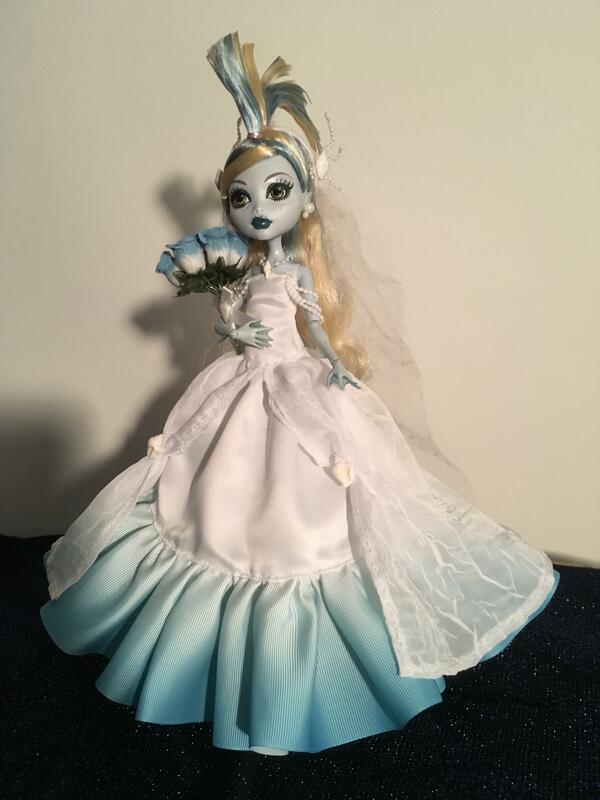 ^_^ I used DGRequiem’s Ball Gown pattern for the dress (her patterns are amazing, btw; I definitely recommend them!). There are some little alterations, and the veil and beading were my own design. The petticoat (you can’t see it in the photo, but it’s giving the skirt some volume and support) was based off of a tutorial for a human-size petticoat... just scaled down, lol. Oh, and that’s a great look for Clawdia! 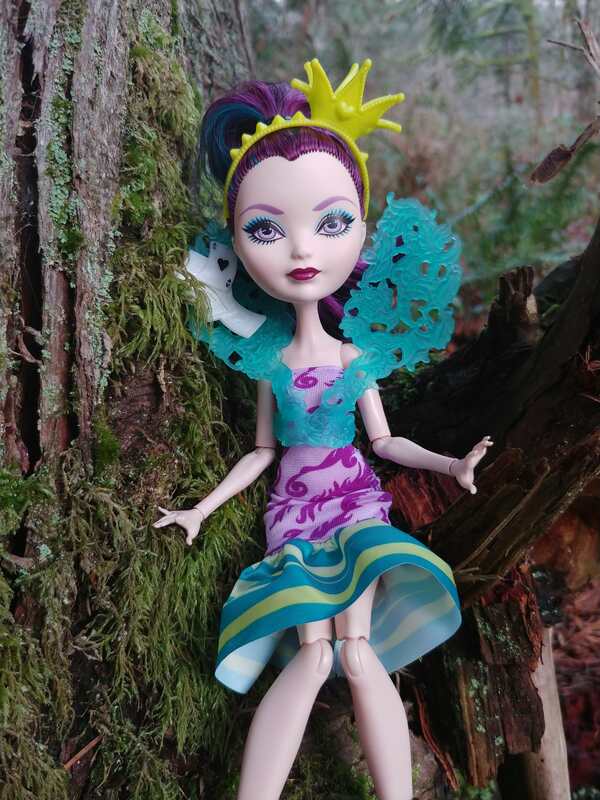 ^_^ Love the reroot! 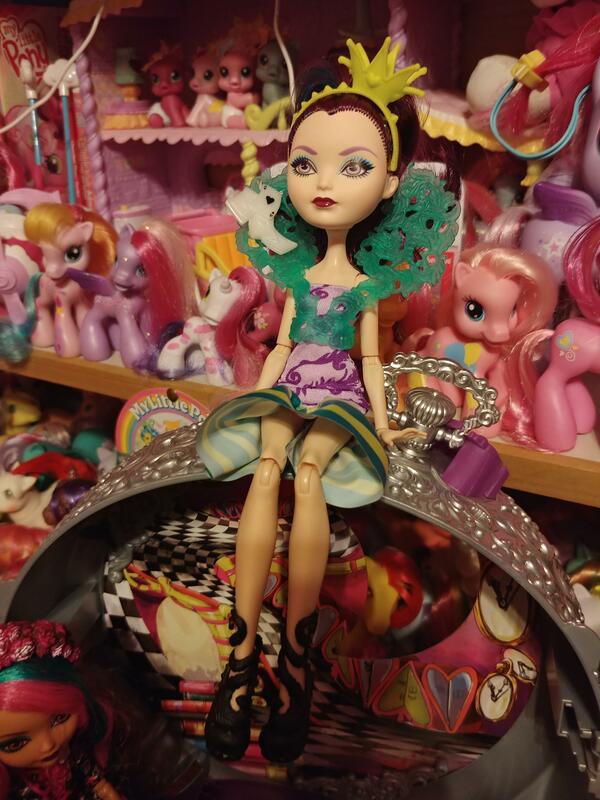 Raven sitting on top of the Way Too Wonderland playset! Rings: I normally make my own rings or buy tiny beads from the craft store. Q-tips for the pink one, silver one was a tiny bead, gold one was a bead as well. Excellent start to the new year everyone! 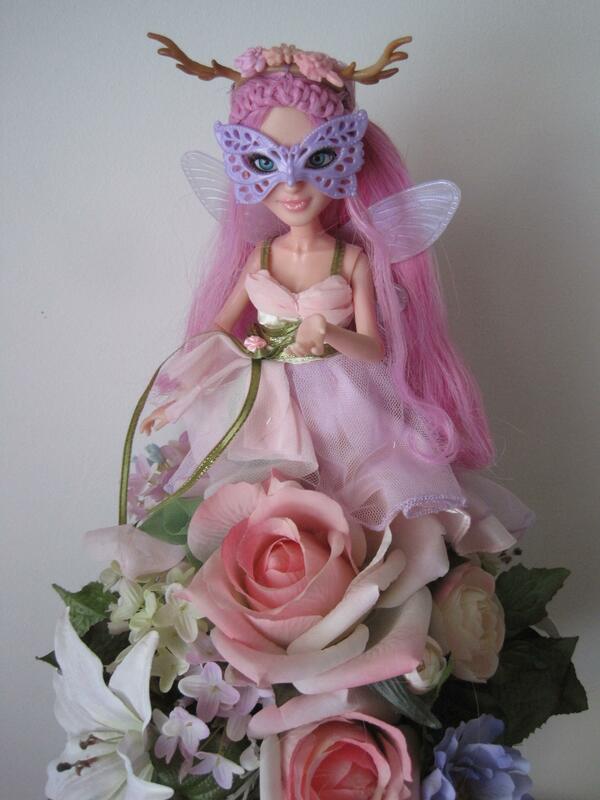 I love seeing dollie photos, and the different things that people do with props & poses. 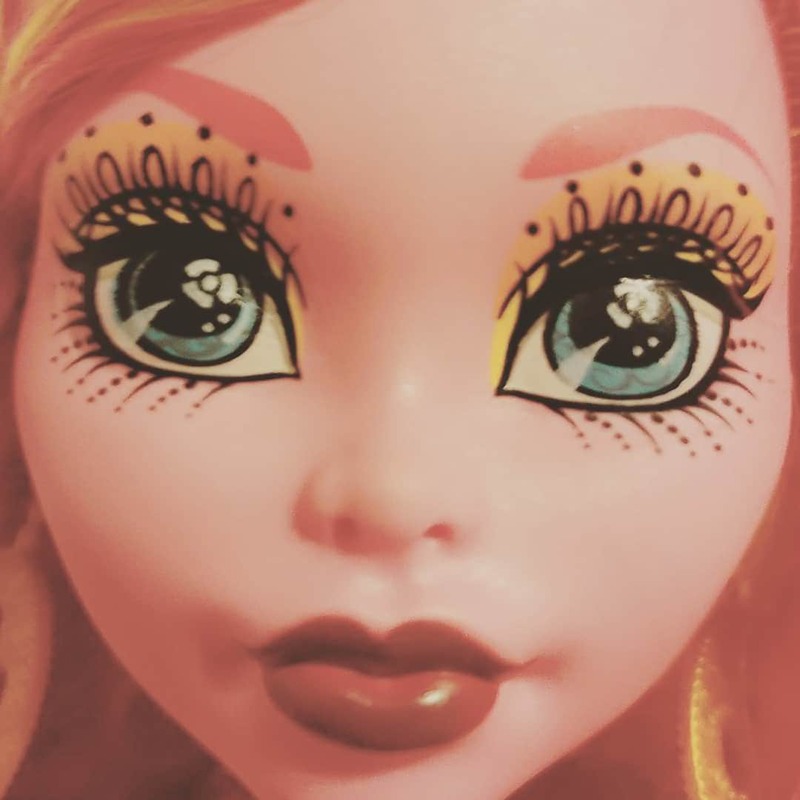 I "burnt out" last year doing the Doll a Day Challenge, so won't be participating daily this year. However, I was thinking a Pic-a-Week, so I can still participate in the thread. Plus I'll be here waving teeny-tiny pompoms at all the participants!! I know how tough it can be to do daily photos (just thinking up ideas was the killer for me ). 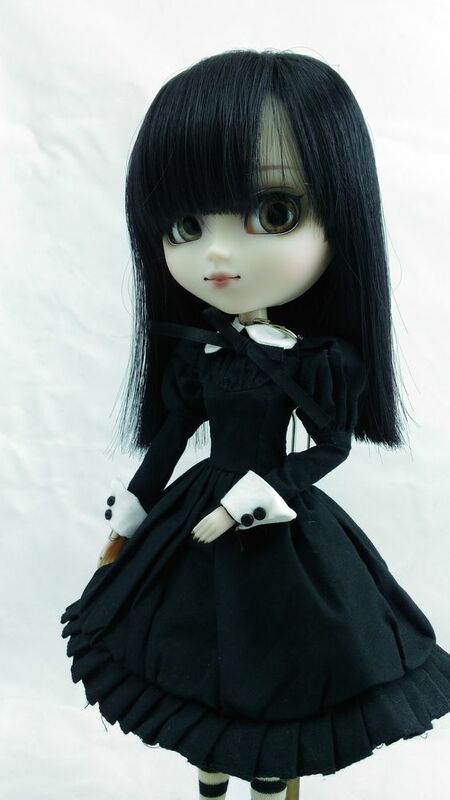 Griselda (Pullip Alura) in her spare dress. I totally love this dress! Griselda looks almost ethereal in it. You inspired my next sewing project. 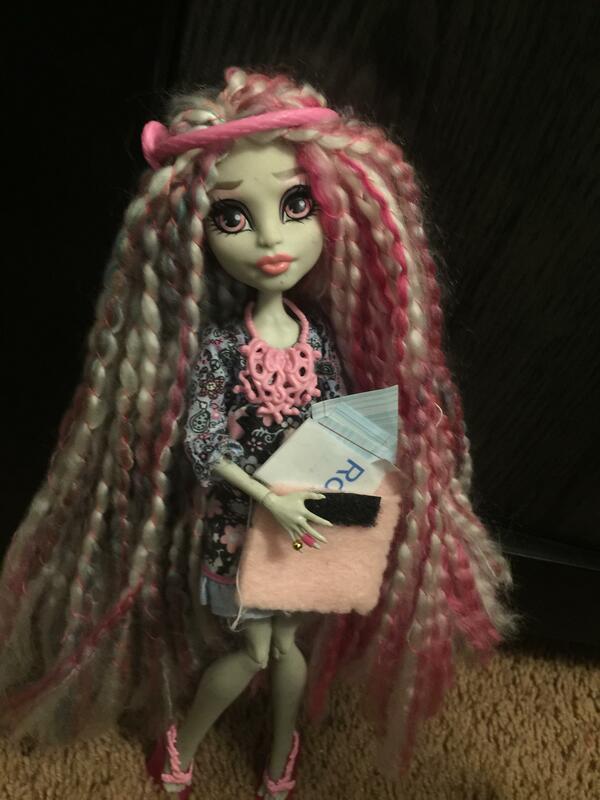 Here's a photo of GiGi, who I bought just today! 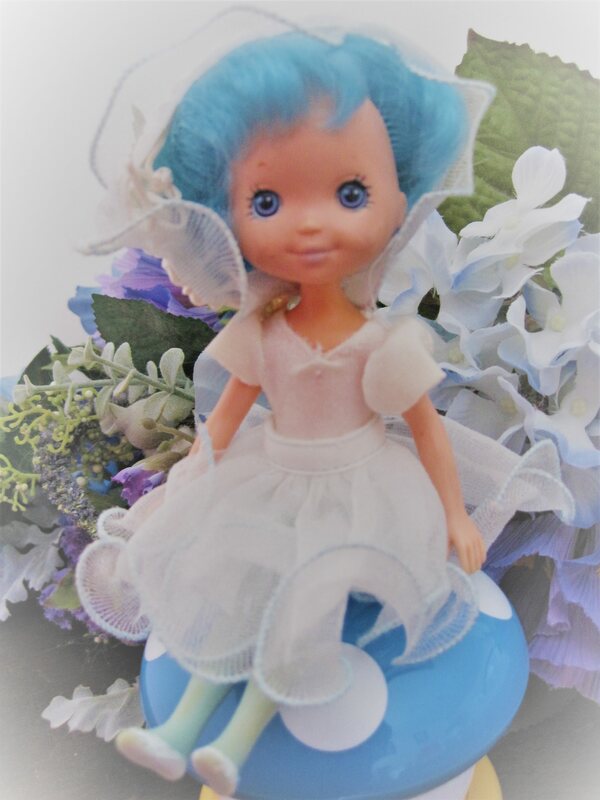 Maybe tomorrow I'll try getting out someplace to take some nice outdoor photos of dolls, I hate doing photos in my bedroom due to the poor indoor lighting (I used flash in today's photo in an attempt to get it looking better), plus I can't really do many interesting photos in my own room. eahseamstress - it is a beautiful piece. It's a spare dress she comes with. 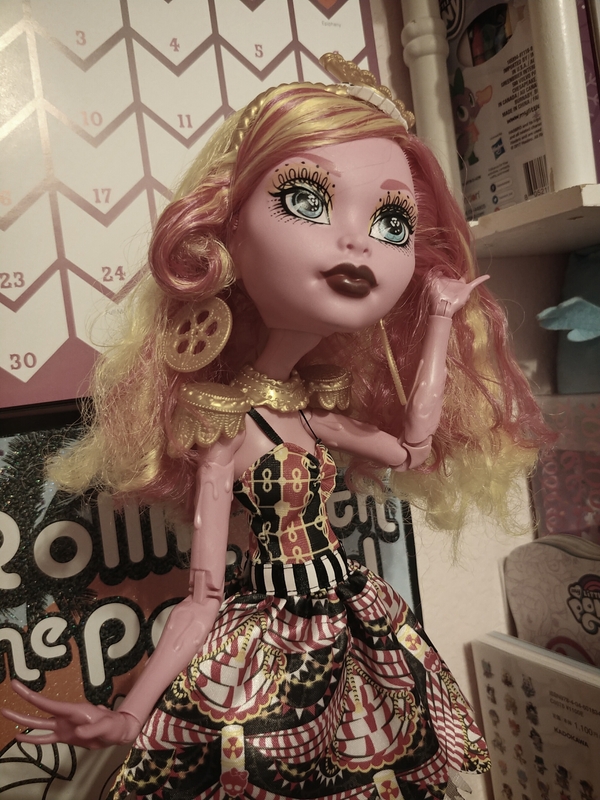 I usually keep her in her 'main' outfit, because I like that somewhat dark circus look, but I love this one, too. I can't wait to see your take on it! Beatles - I like how girly and sweet your photos are. I think outside photos are great idea! The ghoul who started it all. 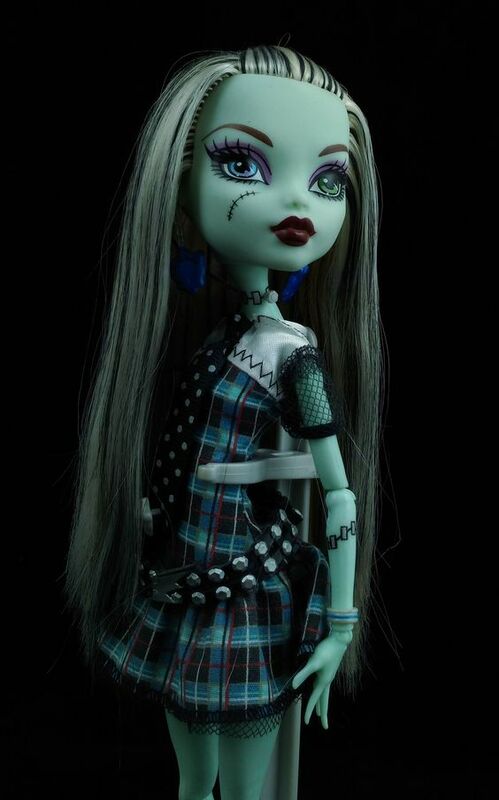 Sig Frankie was the first MH doll I've seen pics of, and I immediately fell in love with her. 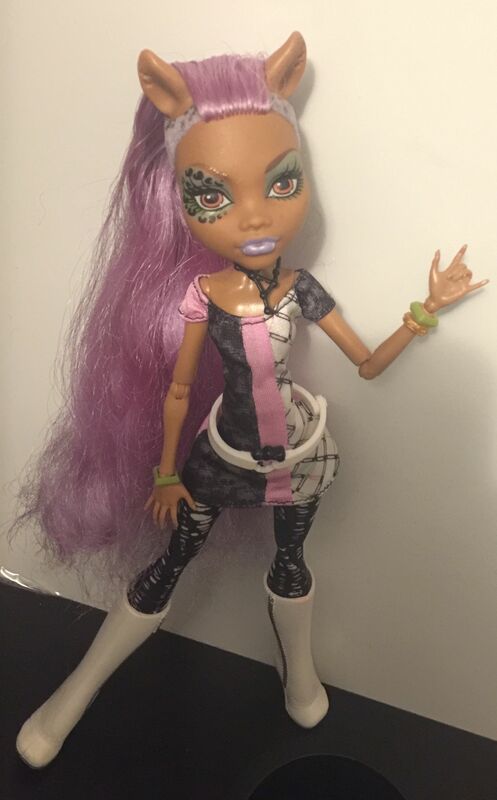 It was through her that I discovered Monster High. She was also the one to make me break my one-doll-per-character rule. I decided to go army by army, so it's going to be Frankie for the next few days. I won't be participating but you know I'll be here to cheer y'all on and enjoy all of your gorgeous dolly photos! I actually did take a photo yesterday... but the lighting turned out terrible. So here’s the retake, plus today’s shot! 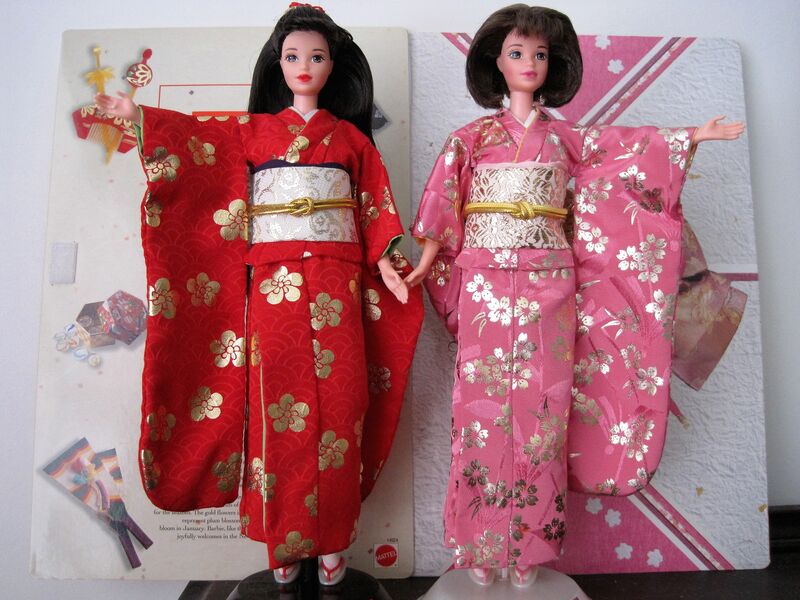 Day 3: In honor of all the New Year’s celebrations, here are Chiyo and Mirai joining in the festivities (Happy New Year Barbies—1st and 2nd Editions). Day 4: Lily Fair from Rose Petal Place, sitting on a mushroom. X3 Springtime-ish again, so I’ll even things out with a wintery photo tomorrow, lol. Oh, and thank you everyone for the kind comments! Beatles: Congrats on your new dolly! 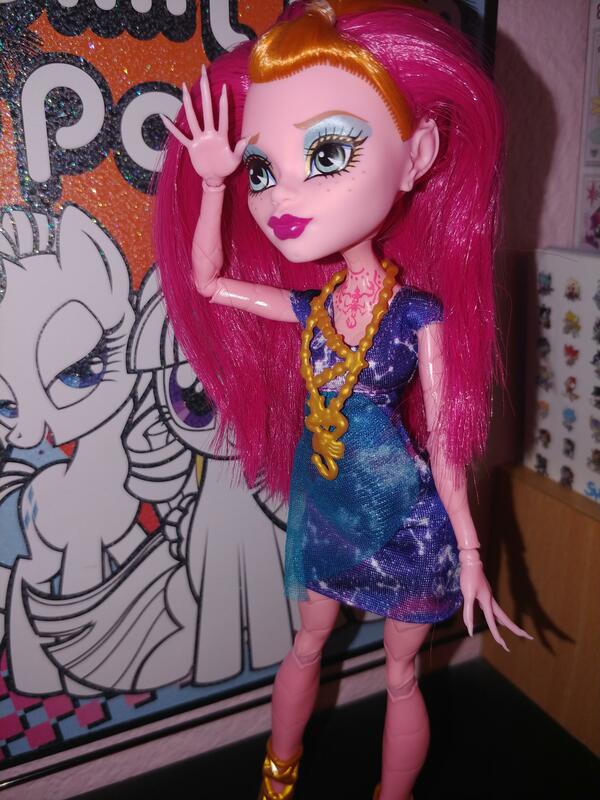 ^_^ I love how her outfit shows off her tattoos and sculpted details! neon: That’s a gorgeous shot of Griselda... Her eyes look so vivid, it’s haunting! Frankie looks very striking as well... I envy your photography skills! So I went out to take photo today!